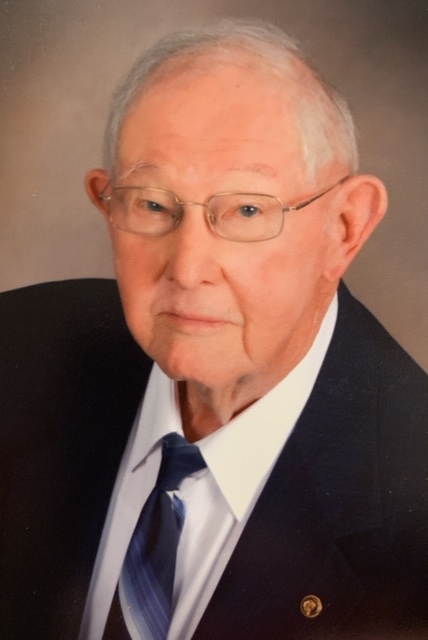 Charles Edwin Hines, age 88, of Switz City, passed away at 6:54 P.M. on Tuesday, February 5, 2019, at St. Vincent’s Hospital in Indianapolis. Charles was born in Evansville on January 27, 1931, the son of Paul & Ruth (Shafer) Hines. Charlie was a 1949 graduate of Boonville High School. He served in the ROTC program during his time at Purdue University. Following his graduation from Purdue University, he entered into the U.S. Army, stationed at Ft. Sill, Oklahoma for two years. He moved to Switz City in 1957 to teach at Switz City High School. He taught Vocational Agriculture, was the FFA Advisor, and taught Chemistry for over forty years. He was a member of the Linton First United Methodist Church, Greene County Indiana State Retired Teachers Association, Greene County Indiana State Farm Bureau, Linton American Legion Post #22, Life Member of the National Education Association, Grant Township Trustee Advisory Board, a sixty-three year member of the Switz City Masonic Lodge, and was a member of the Terre Haute Scottish Rite. Charlie enjoyed working in the yard and garden, was an avid reader, and cherished the time he spent with his family. He is survived by his two sons, David E. (Diann) Hines of Auburn and James E. (Debra) Hines of Centennial, Colorado, a daughter, Ellen J. (Tom) Sanders of Bloomington, nine grandchildren, Katy J. (Paul) Welch, Jacky M. (Nate) Denaway, Douglas P. (Jennelle) Hines, David W. (Jen) Hines, Jonathan D. (Lindsey) Hines, Brian R. Hines, Nathan J. Hines, Ryan D. Hines, and Garrett C. Sanders, and ten great-grandchildren. He was preceded in death by his parents, wife, Jane Elnora (Wilmarth) Hines, a son, Kenneth P. Hines. Funeral service will be held at Linton First United Methodist Church at 11:00 A.M. on Saturday, February 9, 2019, with Rev.’s Ben Biggs and James Gentry officiating. Burial will follow at Switz City Cemetery, with military honors. Visitation will be held at Welch & Cornett Funeral Home in Linton on Friday from 4 to 8 P.M., with Masonic Rites at 7 P.M., and Saturday at the church from 10 A.M. until the time of service. Memorial contributions may be made to Linton First United Methodist or Indiana FFA Leadership Center in Trafalgar, through the funeral home. Online condolences may be shared with the family at www.welchcornett.com.